As with all flooring materials concrete has a variety of benefits. Concrete makes for low maintenance flooring and is, therefore, becoming increasingly popular. Concrete4U has supplied concrete for flooring in York successfully for the last 10 years. Many York Customers would agree that concrete flooring is extremely durable. It’s tough and resilient and is able to withstand the pressure from very heavy equipment such as cars, trucks, forklifts, and stacked crates. It’s easy to understand why concrete flooring is so popular in commercial areas like garages and warehouses. Durability also means that it is difficult to damage. High heels, furniture legs, and pet claws will not scratch the surface. You also don’t have to worry about damage from most dropped items. While it is possible to chip or scratch a concrete surface, you will generally have to work pretty hard at it to succeed. Choosing concrete for flooring is great for those who want a versatile flooring option because you have the choice of installing any type of flooring over the top at a later date. Going forward, it gives you a lot of design freedom. 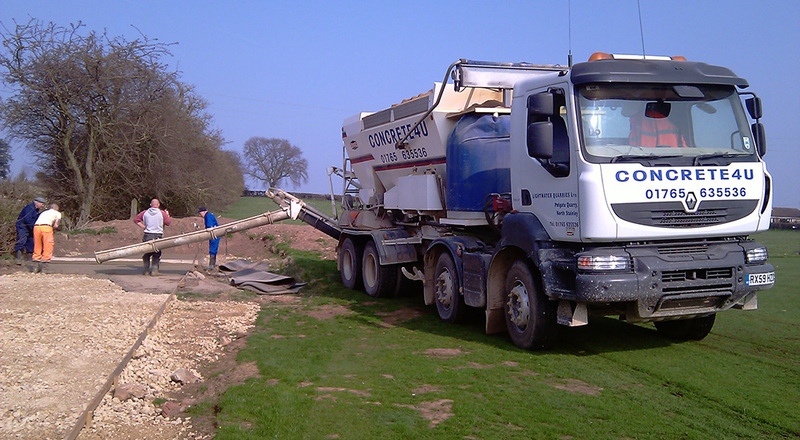 Because we mix on site in a Volumetric or supply using our mini-mix drum with a weighing platform we can offer our customers an only par for what you use service ensuring that the concrete is of the right quality for a trafficked external area and that there is no mess and no wasted concrete. 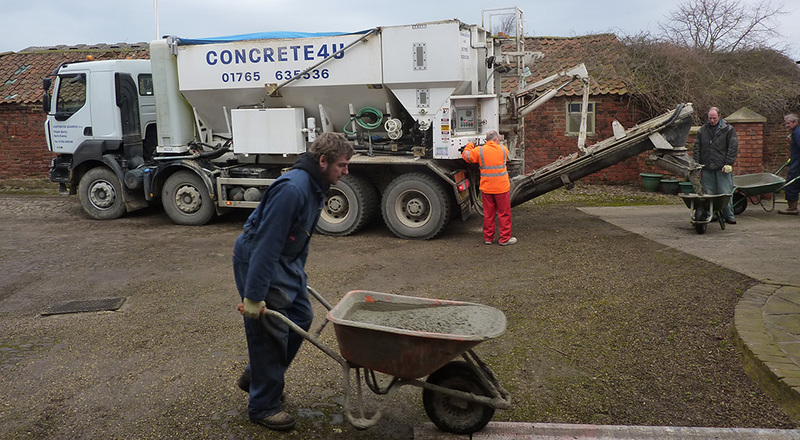 By enabling our York customers to change the workability and quantity of concrete as they go we can ensure that when you do your flooring you will get the mix you need, how you want it and in the perfect quantity. Please get in touch if you need any further information about out concrete for flooring York and surrounding areas. Fill in the contact form below and we will get back to you.